The Nottinghamshire Cricket Annual is now available to purchase as the start of the new season draws near. 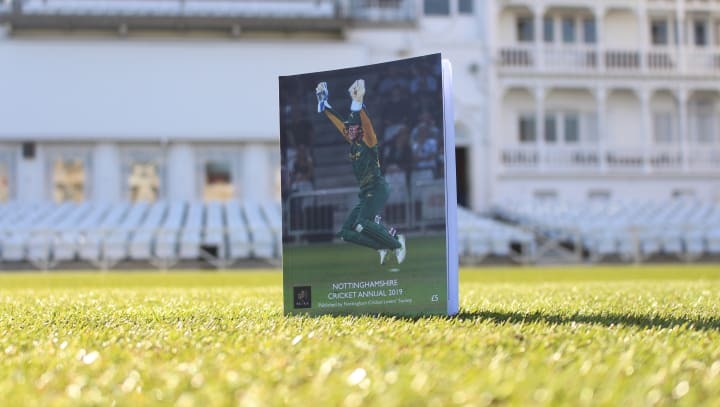 Nottingham Cricket Lovers’ Society have stepped in to bring the guide to fruition for 2019, which is priced at £5 and can be purchased online here, or in person from the Ticket Office and Club Shop at Trent Bridge. Opening with a match-by-match review of Notts’ 2018 efforts in white and red-ball cricket, the handbook also features profiles of all those who have joined or left the club ahead of the new campaign and a comprehensive list of all-time records. The guidebook closes with a series of features capturing the essence and history of the Club, written by the likes of stalwart Club Historian Peter Wynne-Thomas and First Team Scorer Roger Marshall. There is also a full-colour section showcasing some of the finest images of the 2018 season and a dedicated autograph section featuring each member of the first team squad.